Hi lovelies! 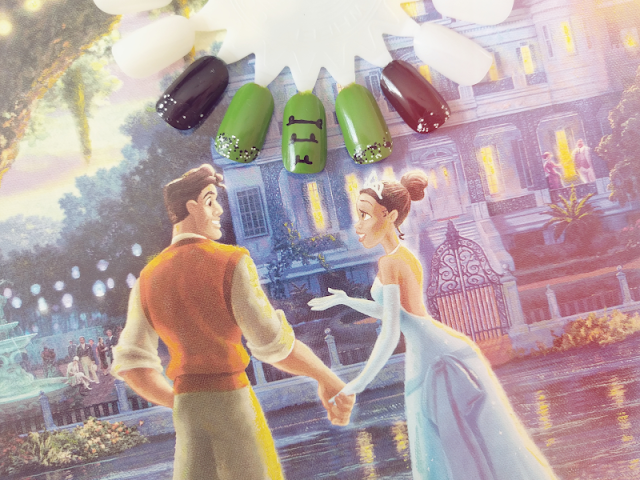 I ended up missing last month's Disney nail art collab as I was moving house/towns/jobs (phew!) 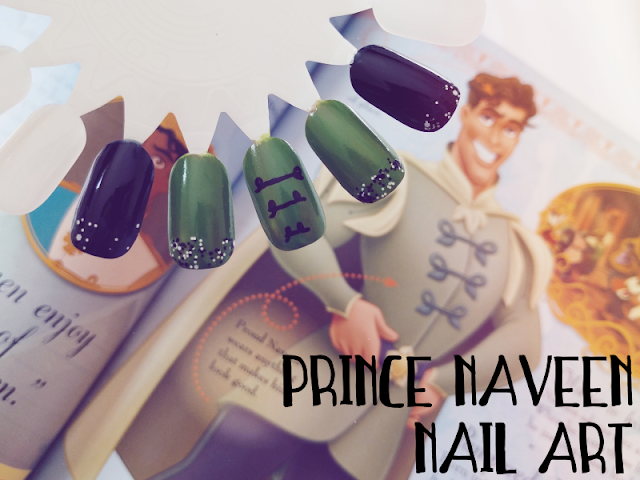 but I'm catching up this month with my nail design for The Princess and the Frog - everyone's favourite cheeky Prince, Naveen! I wasn't sure what design to use for Prince Naveen as he appears in a couple of different outfits in the film (and not to forget as a frog for the majority of it...) but in the end I chose the outfit that he appears in at the end of the film, as shown in the photo above. I mixed two green colours together to try to get a similar colour to his jacket (considering I have over 100 bottles of nail polish you'd think I'd have the right colour...! ), used black from his trousers for the other nails and decorated the centre one with the detailing from his jacket. The other nails I then finished off with a little confetti polish. What do you think? Make sure to check out Sam's Tiana to my Prince Naveen (her design is SO cute!) and her nail art look from last month - Lady from Lady and the Tramp! See you next month when we take on the original Princess and her Prince!